When it comes to the morning newscast at WREG (Memphis) the estrogen runs pretty high. The Tribune (soon to be Nexstar) station has women doing just about every aspect of the morning newscast and it’s great to see. 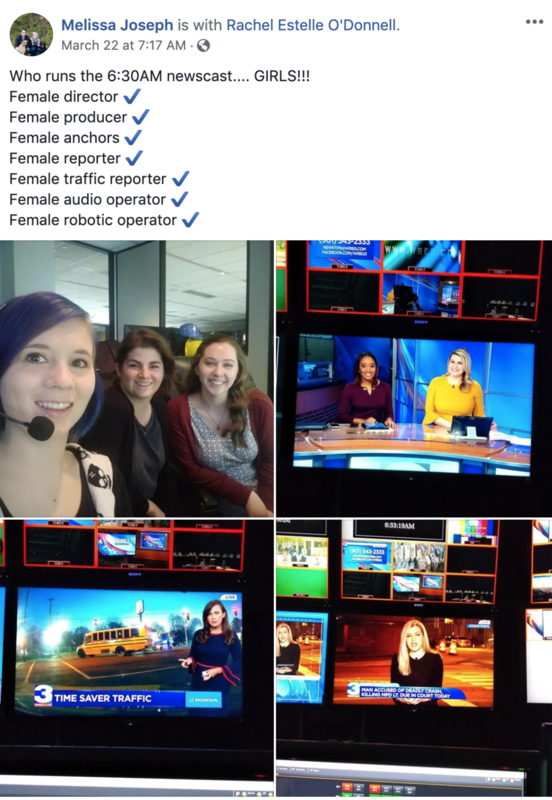 Melissa Joseph, who directs the morning newscast, pointed out the girl powered newscast in a FB post.